Whether you're in the market to start your own clothing line, or just to get the word out about your small business, we're your one-stop-shop! Affordable, High-Quality prints on a wide variety of garments. Check us out for your next event! 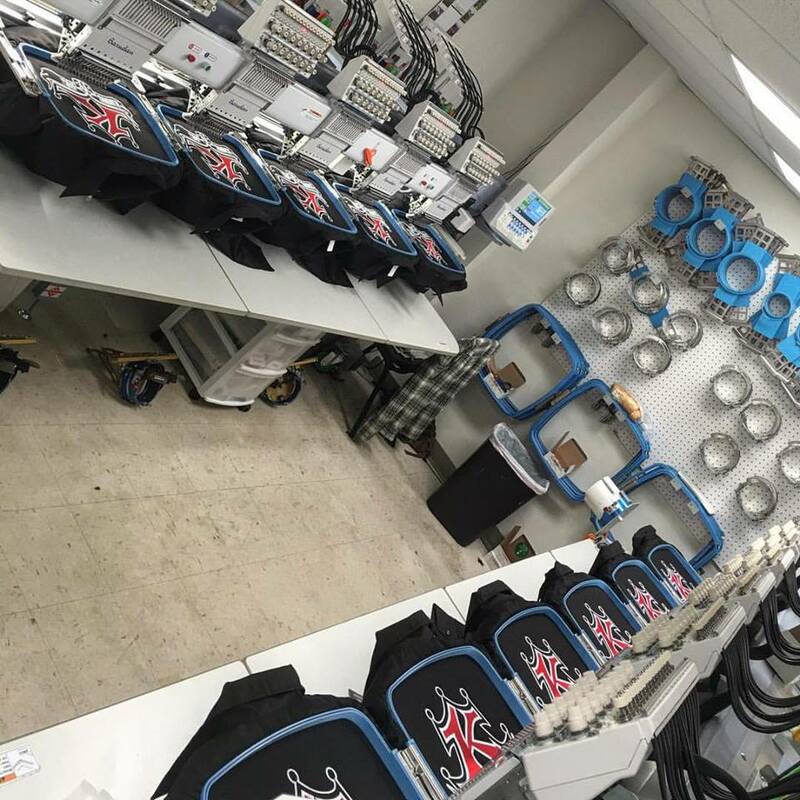 Graphic Disorder produces top shelf embroidery and you can be sure when you place an order with us, that your embroidered goods will stand out from the rest. With 22 embroidery heads, we can turn out thousands of products per day. Give your project a kick-start! We offer high quality, affordable Business Cards, Flyers, Posters, Folders, Note Pads, Greeting Cards and other custom offerings! Contact us today for your project! Our in-house art team can take your project to the next level. From simple to highly detailed. 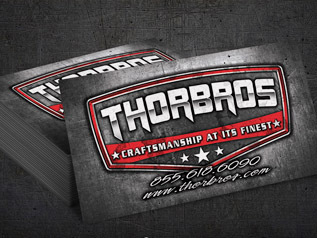 Logo to apparel design, to banners or your next set of business cards....we have you covered. Graphic Disorder's in-house art team has been featured in several magazines and our artwork is often the largest majority you will see at many automotive events around the custom truck scene and that's quickly expanding to other markets. Now offering stickers! Doesn't matter if you need just a few or if you need 1000's we have you covered! We produce high quality full color print/cut/laminated decals great for a variety of uses. People love stickers, they are a great way to build your brand recognition. No matter if you want to sell them or stuff them in your customers shipments or use them to give out at promotional events our high quality full color print/cut/laminated decals will have your brand looking fresh! Graphic Disorder has been in business since 2003. Located in Johnson City, TN in a 14,000 Sqft industrial space. We employ 10 people, largely made up of custom car and truck enthusiasts, which is our primary market. In recent years we have become more popular in other markets and we continue to expand into others. We tend to re-invest in people and equipment at an abnormal rate in efforts to keep quality as well as turnaround time improving. Head over to the Crew page to see a little bit more of who each of us are.